The Brakes are Always On. Our Brake Cart will never get away from your customers on slopes or hills. Simple to use, just press the handle down to release the brakes. And it works under the worst of conditions, including mud, water, and snow! 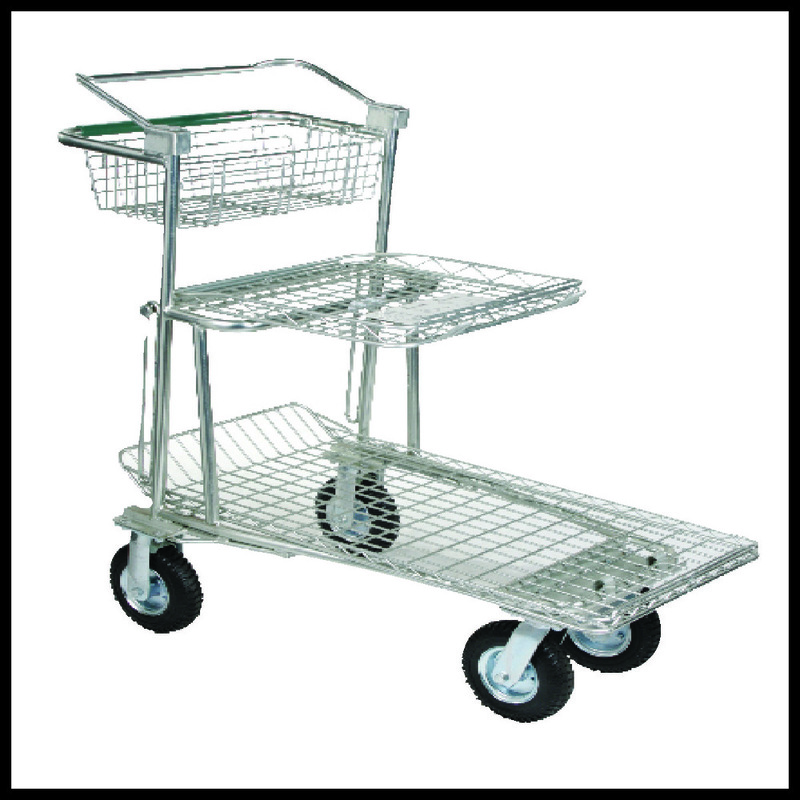 All of our Brake carts come with 8" Flat Proof wheels and are available with either a Short or Long Upper Shelf.